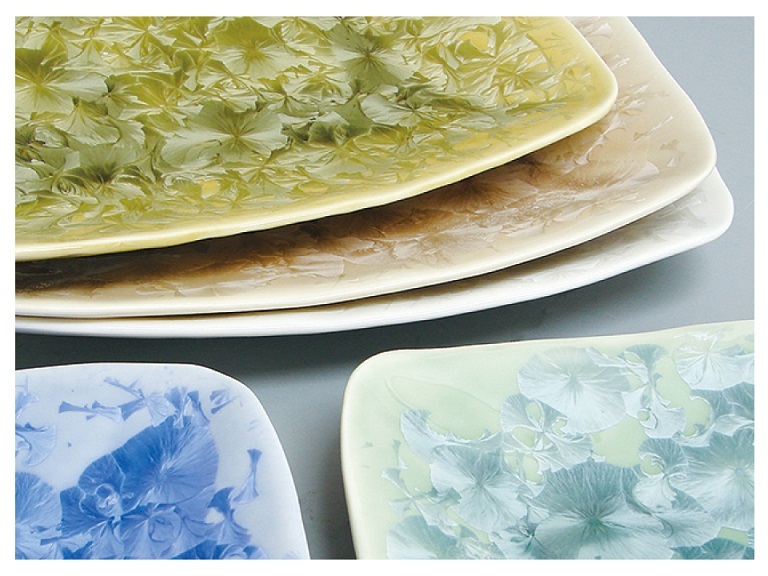 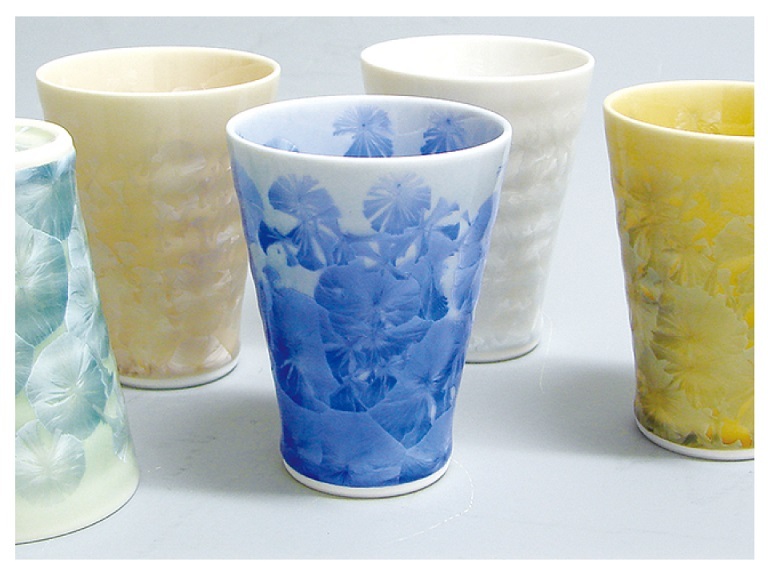 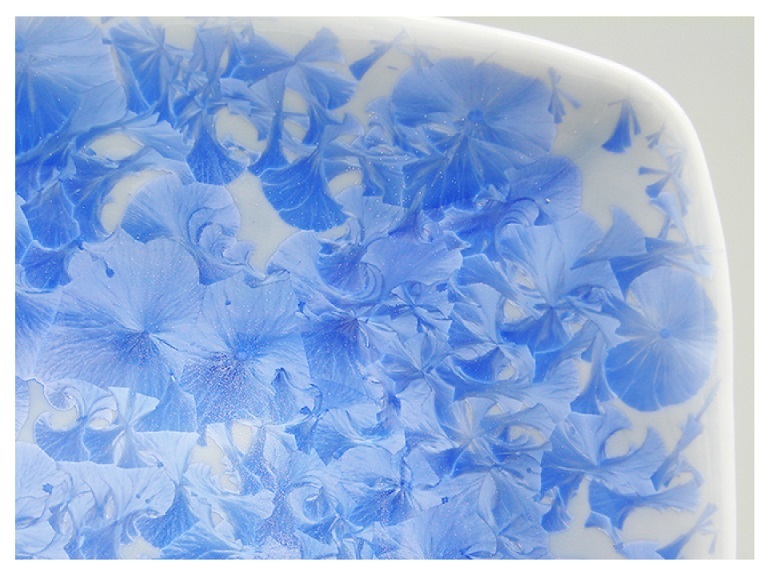 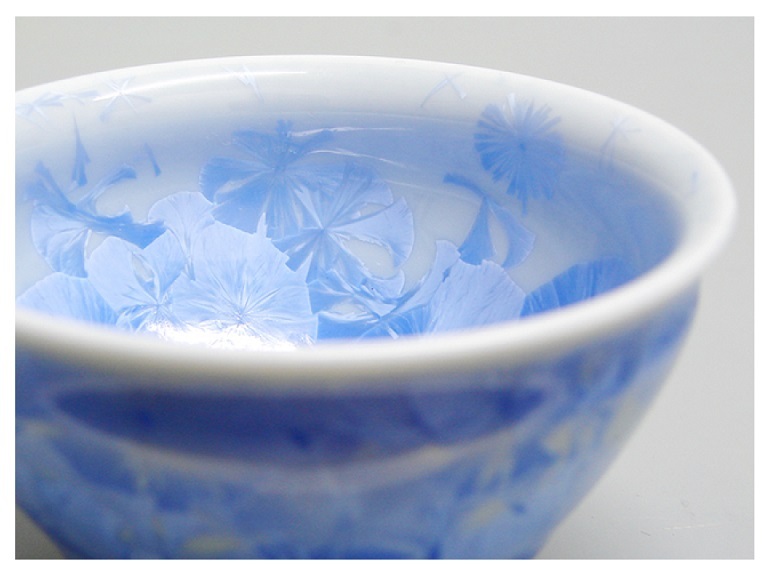 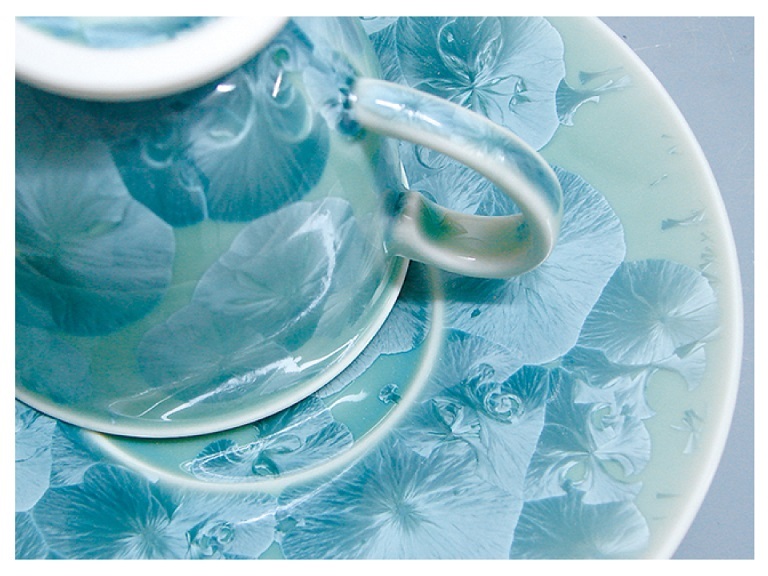 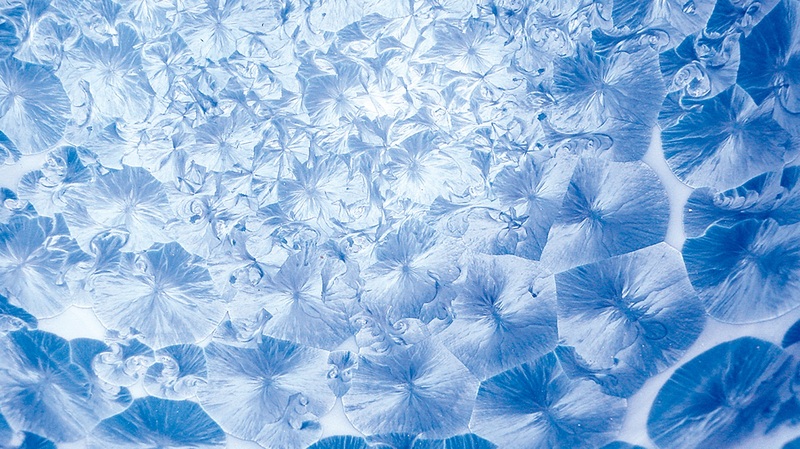 Hanakessho (Flower Crystal) is a beautiful ware that looks as if flowers have bloomed onto the surface. 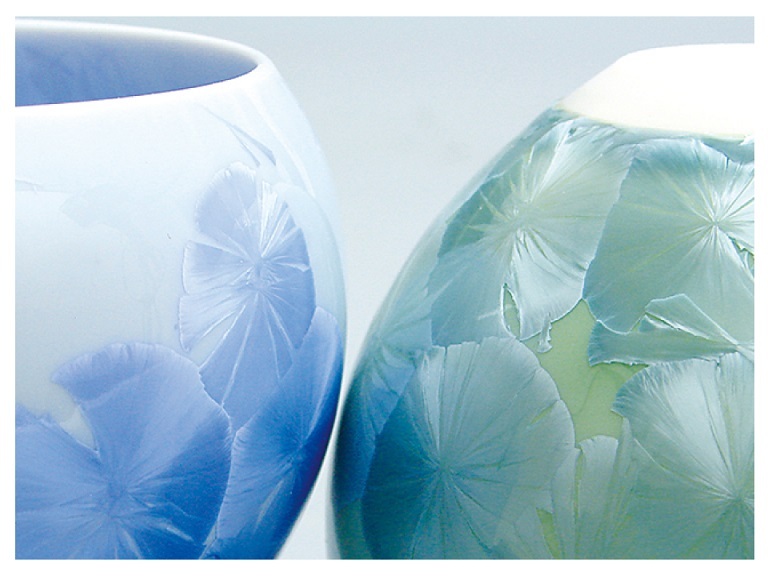 This unique crystal glaze dissolves and forms crystals through manipulation of the cooling process. 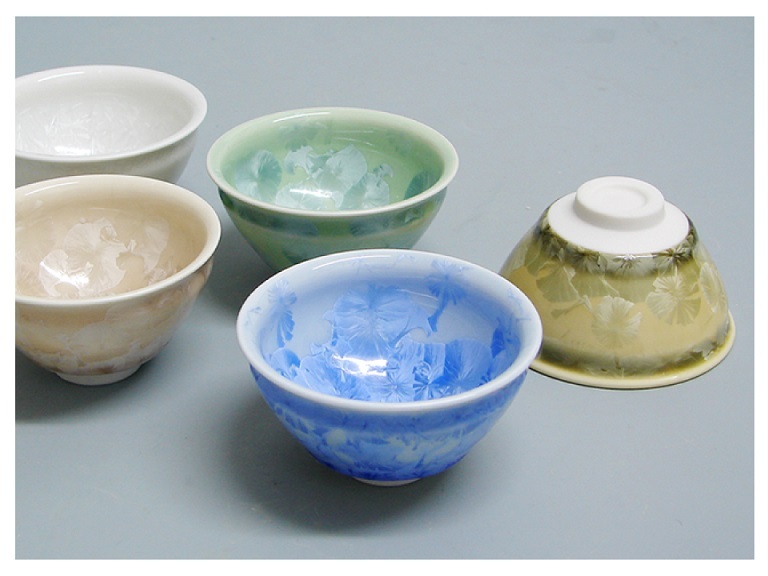 Even within crystal wares, the Hanakkeshou wares have exceptionally large crystals and form various shapes. 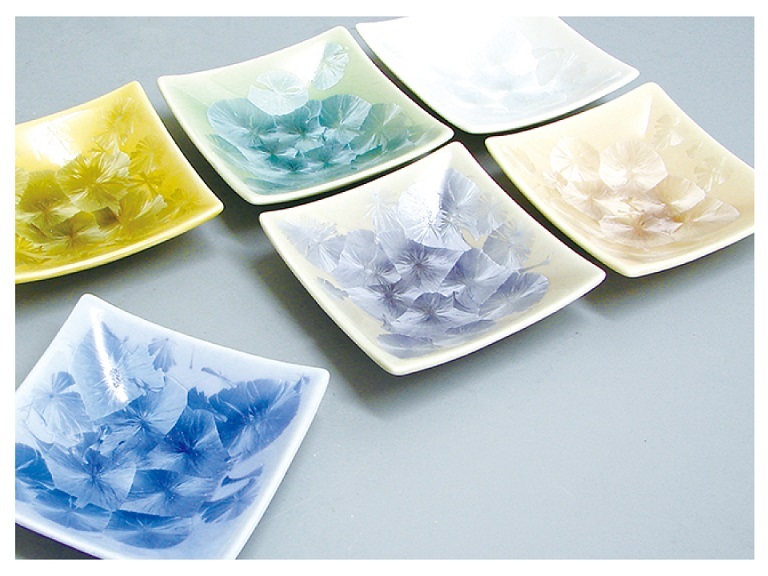 Since one of the features of crystal ware is that there are no two that are the same, various crystal formations can be enjoyed through this product line.